Brazilian soccer superstar Neymar Jr. toyed with the Croatia defense in his return to the pitch Sunday in Liverpool, England. He led his squad to a 2-0 win against the Croatians in a friendly at Anfield. Neymar hasn't played since Feb. 25, when he fractured a metatarsal and suffered a sprained ankle while playing for Paris Saint-Germain in February against Marseille. He scored 19 goals and led Ligue 1 with 13 assists before he was lost for the season. 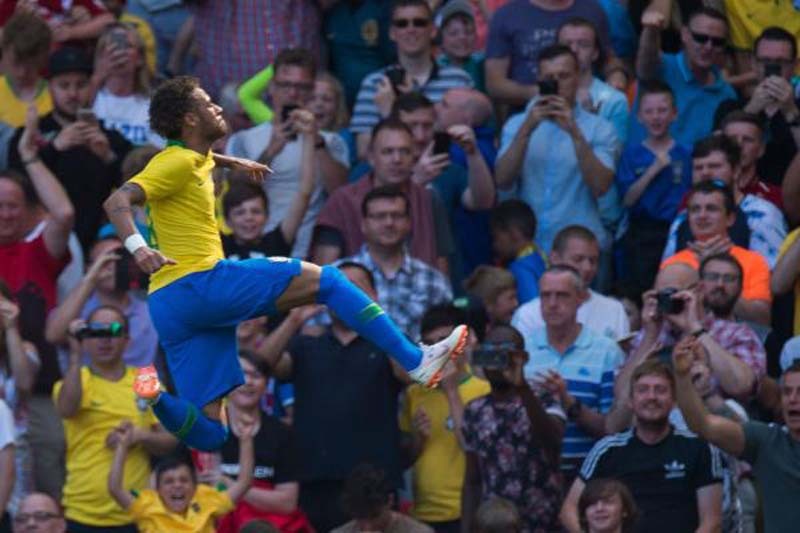 Brazil and Croatia were scoreless in the 69th minute when Neymar took over. Barcelona star Philippe Coutinho got possession of the ball between the Croatia box and midfield. He then passed off to Neymar on his left. Neymar dug into the box and touched around one Croatian defender, before using his superior handles to put the ball on his right foot. Neymar split the group of defenders and ripped a shot off of the crossbar and into the net, beating Danijel Subasic. Neymar entered the match as a substitute in the 46th minute, coming on for midfielder Fernandinho. Liverpool star Roberto Firmino added another score for Brazil in the 94th minute. Casemiro sent a beautiful chip to the far post on that play. Firmino brought the ball down before tapping it over Subasic for Brazil's final tally. Brazil has another friendly against Austria at 10 a.m. June 10, before battling Switzerland in the group stage of the 2018 World Cup at 2 p.m. June 17 at Rostov Arena in Rostov Oblast, Russia.